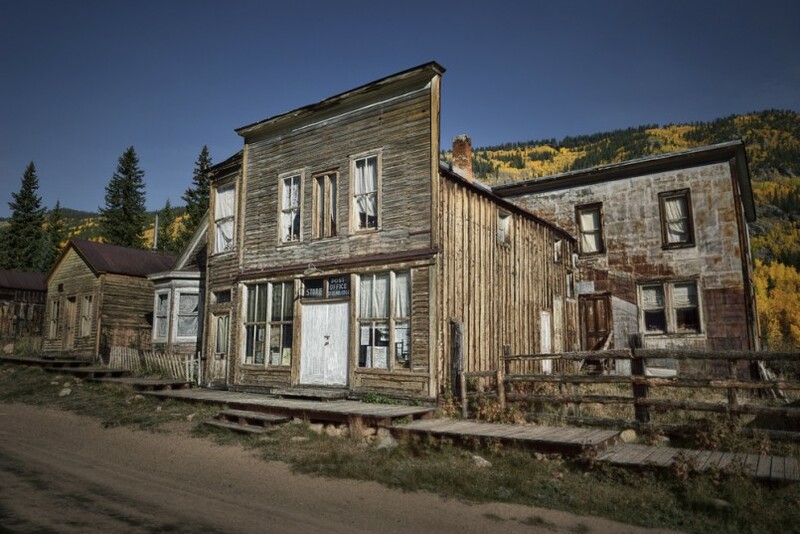 Deep in the mountains of Colorado lie hundreds of abandoned ghost towns. 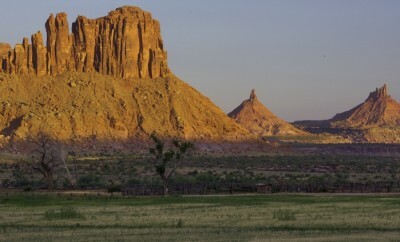 They’re left as simple remainders of the state’s old west heritage and mining past, but the haunting buildings can’t help but evoke a sense of desolation in anyone who visits. Not only were these towns the epitome of booming business and undiscovered riches, they were a metaphor of hope for those who came to seek a better life in the gold and silver mines. But these days, many of the ghost towns lay in shambles. Collapsed roofs, broken foundations, and splintered wood are often the only evidence that a town once stood there. Luckily, a few towns have stood the test of time. They’re hard to reach, but the effort is worth it! If you’re interested in exploring a few ghost towns yourself, be sure to visit these preserved sites. As one of Colorado’s most well-preserved ghost towns, St. Elmo is located deep in the Sawatch Mountains southwest of Buena Vista. It was founded in 1880 as a gold and silver mining camp, where hopefuls came to search for nature’s buried wealth. More than 2,000 people lived in St. Elmo at the height of the rush, but by the 1950s, the population had completely dwindled. In 1956, after the death of the town’s only postmaster, the Postal service was completely shut down. To reach St. Elmo, drive south on Highway 285 from Buena Vista. Head west on Chalk Creek Drive until you reach town. Look for the St. Elmo General Store and you’ll know you’ve made it. After a few prospectors from Leadville found gold in a creek in 1867, the town of Vicksburg was settled. Found high in Clear Creek Canyon, Vicksburg was added to the National Register of Historic Places in 1977. In it’s hay-day there was a post office, a school, saloons, billiards halls, and even a blacksmith. Vicksburg’s iconic balsam poplar-lined streets were planted early on and remain living to this day, fed by a ditch dug out to provide water for the town (from nearby Vicksburg Creek). Vicksburg can be accessed by heading south on Highway 24 from Leadville. Turn west on 390 and you’ll eventually come to the town. Note that you’ll need four wheel drive in these parts! This silver mining camp in Jackson County was as it’s height in the early 1880s. It’s hard to find, but the trip is certainly worth it. As the immediate area is closed off to cars, a pathway takes you on a pleasant stroll through the remainders of the city’s buildings and artifacts. Not much has survived due to an infestation of pine beetles, but the Forest Service has tried throughout the years to preserve as much as possible. 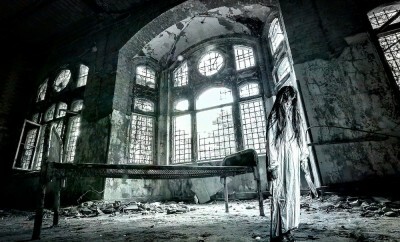 But for a town that was mostly abandoned by 1902, the remains are simply stunning…and ghostly. You can find Teller City by taking Highway 14 east from Walden. Turn south on 21/740 and take it all the way. You’ll come across many junctions along the way, but remain straight on 21/740. 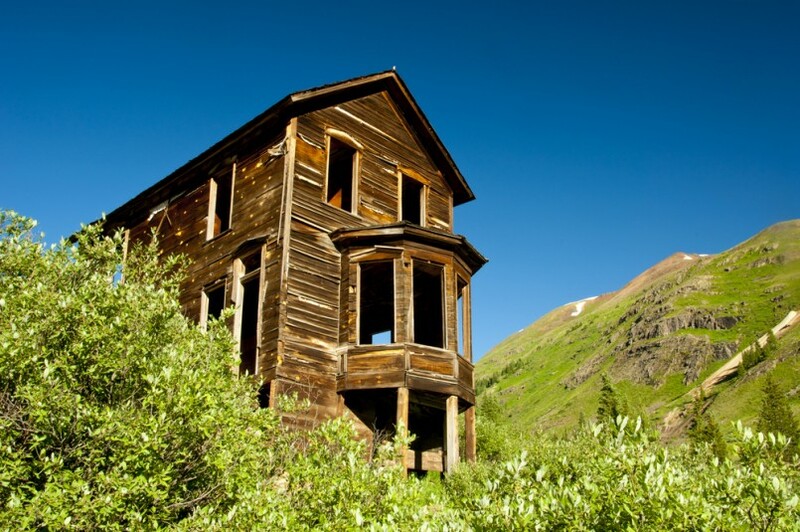 High in the San Juan Mountains above Silverton lies Animas Forks, a ghost town that once served as an important connection for the alpine region. At 11,200 feet, it’s one of the most elevated mining towns in Colorado. In fact, it was so cold during the winter that the locals made way to Silverton each fall to avoid the heavy snows. It snowed so badly in 1884 that remaining locals had to bury tunnels under the 25 feet of snow to reach each other. In the height of it’s life, Animas Forks had everything from a hotel, to a saloon, to even a local newspaper called the Animas Forks Pioneer. Animas Forks can be reached from Silverton by taking County Road 2 all the way there. Four wheel drive is recommended. At an elevation of 10,900 feet, it’s obvious why Independence became a ghost town so quickly. Formed in 1879, the town eventually grew to 1,500 in population with more than forty booming businesses. Unfortunately, the mine only produced around $190,000 worth of ore, so the residents began to migrate towards nearby Aspen. 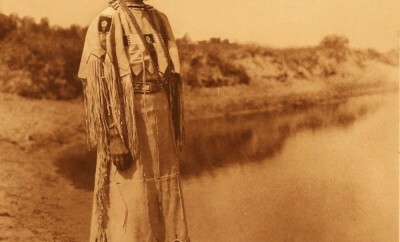 By 1890 Independence was nothing more than a ghost town. You can find Independence by traveling east on 82 from Aspen, although the road is closed during winter.